This page is just the announcement page. 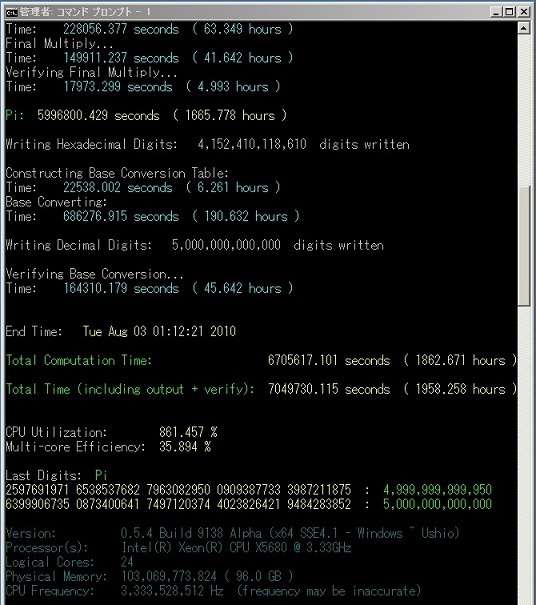 On August 2, 2010, We have successfully completed the computation of Pi to 5,000,000,000,000 decimal places on a single desktop computer in record time. This is 2.3 trillion digits more than the previous world record by Fabrice Bellard (December 2009). Therefore, we are declaring 5 trillion digits as the new world record. It was done using a program created by Alexander Yee and a desktop computer built by Shigeru Kondo. Note that multicore efficiency % is inaccurate. The actual efficiency is about ~85%. The main computation took 90 days on Shigeru Kondo's desktop. Verification was done using two separate computers. - Roughly 22 TB* of disk was needed to perform the computation. - Another 3.8 TB of disk was needed to store the compressed output of decimal and hexadecimal digits. If the digits were stored in an uncompressed ascii text file, the combined size of the decimal and hexadecimal digits would be 8.32 TB. 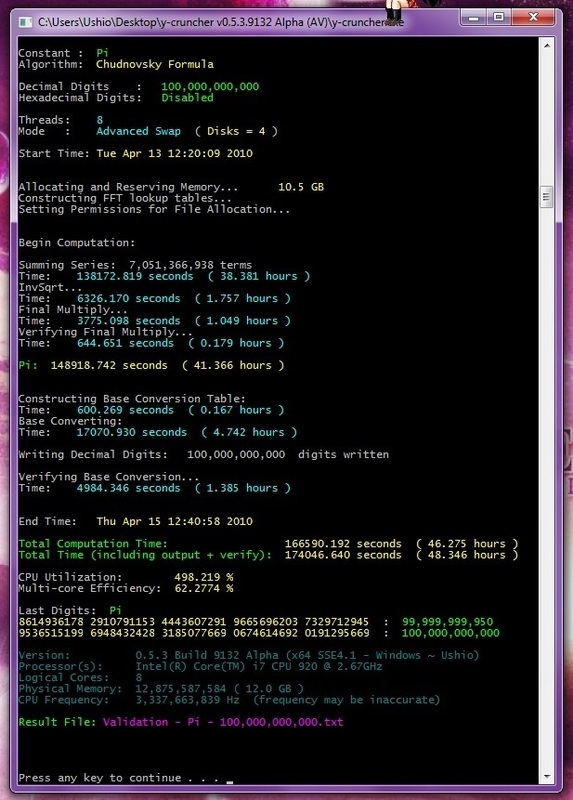 The program that was used for the main computation is y-cruncher v0.5.4.9138 Alpha. 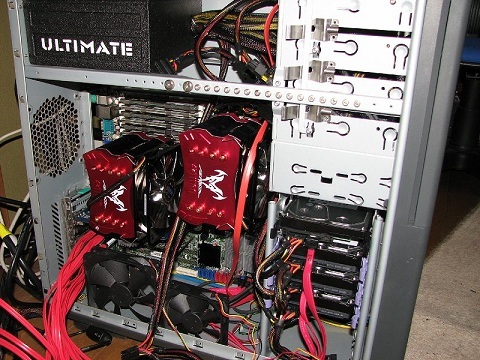 It uses state-of-the-art algorithms to achieve never-before-seen computational speeds. Many of these methods and algorithms are newly developed and first-time tested in y-cruncher. y-cruncher is highly scalable. 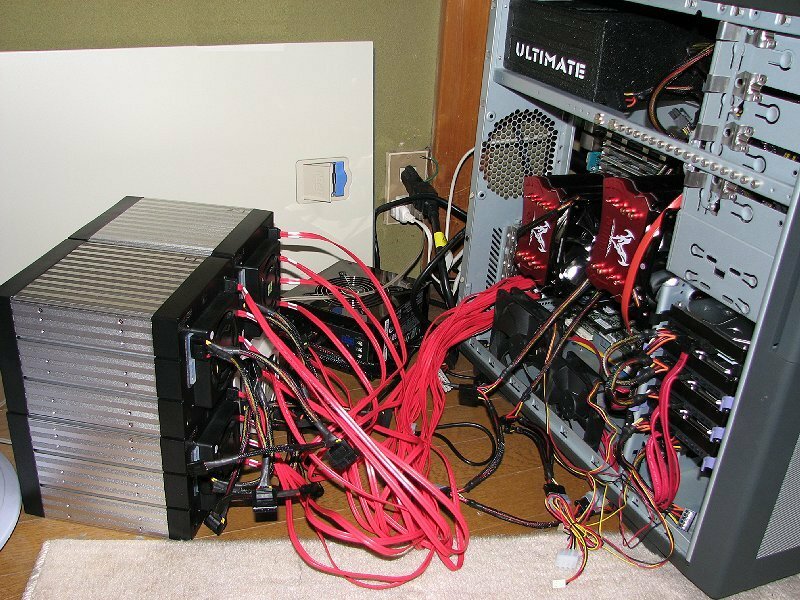 Most other multi-threaded Pi programs are unable to scale past 4 cores. Therefore, they are unable to fully utilize many core machines such as the 12-core/24-thread computer that was used for this Pi computation. 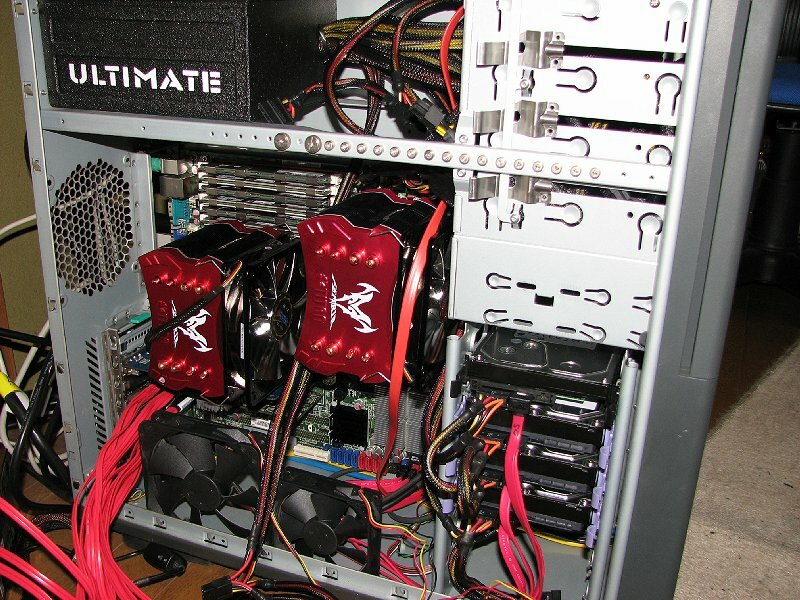 y-cruncher supports the use of multiple hard drives to use as distributed memory storage for very large computations. y-cruncher is fault-tolerant to hardware errors. It is able to detect and recover from most computational errors that are caused by hardware anomalies or instablity. This has proven invaluable for extremely long computations where the chance of hardware failure is non-negligible. The full article that contains many of the technical details are here. You can contact Shigeru Kondo at ja0hxv@calico.jp.